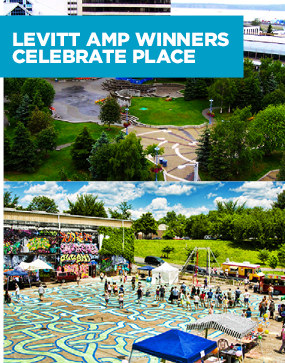 Next month marks the launch of the inaugural Levitt AMP Music Series! Join us as we celebrate the 10 unique places that will be activated by free, live music. 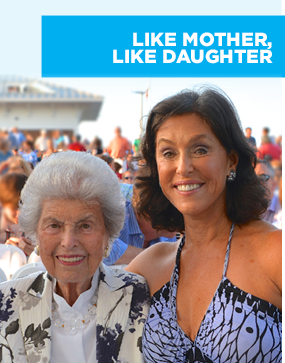 The generous philanthropy and forward-thinking vision of Mimi Levitt and Liz Levitt Hirsch honor Mortimer Levitt's legacy while looking to the future. 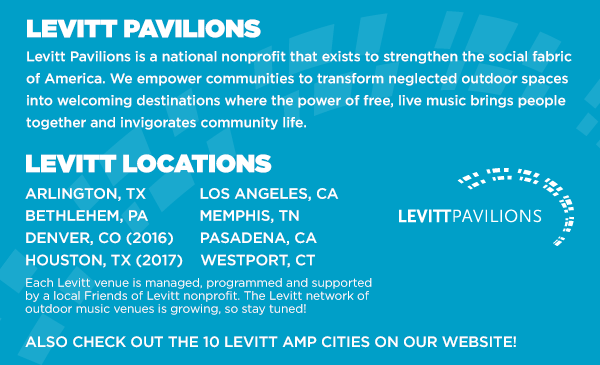 This June and July, the Levitt National Tour�featuring genre-busting duo Black Violin stops in six Levitt cities! America�s largest free concert series is just around the corner! 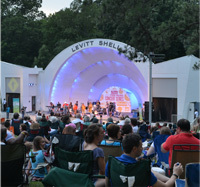 Find out who�s playing at Levitt venues and Levitt AMP sites. What�s new on our blog? 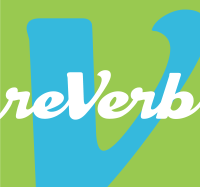 Check out our�Jazz Appreciation Month playlist, discover�art car culture�and�find out what Levitt Loves!